Happy Father’s Day, Dad. Izzie and I hope you have a wonderful day. You didn’t get to meet Izzie, but I’m sure the two of you would have gotten along famously. Dad passed away in 2002 at the young age of 75. 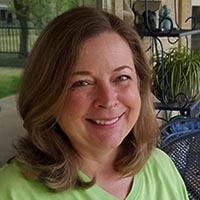 I only have a few pictures with both of us in them, but have other pictures of him throughout his life. I recently spent a nostalgic afternoon going through a box of old photos looking for pictures of him. Carl Eugene was born in 1927. 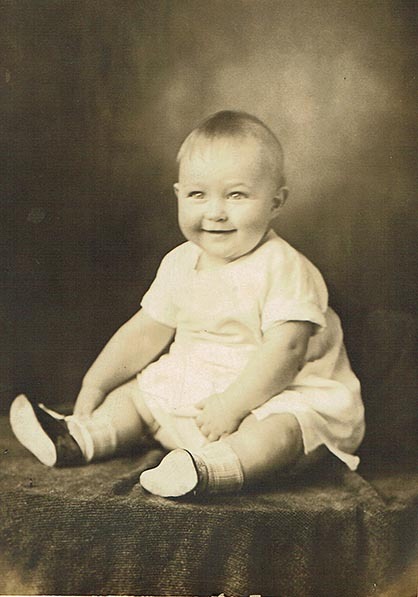 Here he is as a toddler. What a cutey! 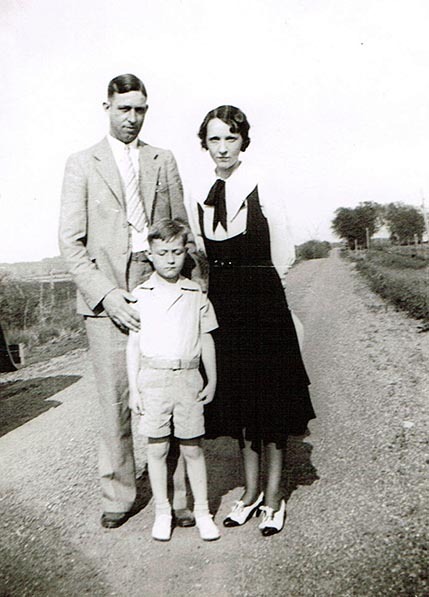 He doesn’t look too happy here with his Mother and Father, Marie and Adolph. 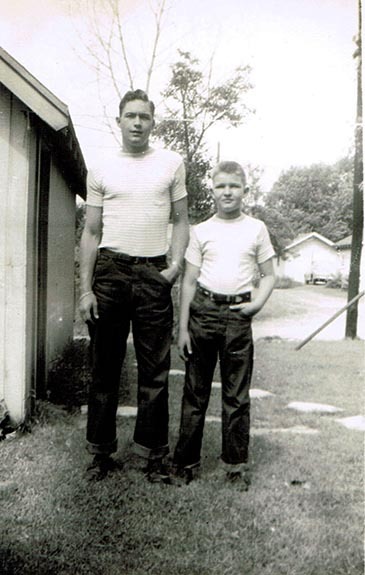 In their t-shirts and cuffed jeans, Dad and his younger brother, Jerry, looked like could have they played parts in West Side Story or Grease. 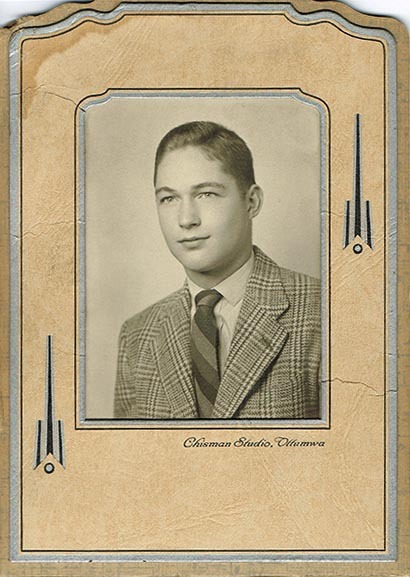 Dad graduated from high school in 1945. 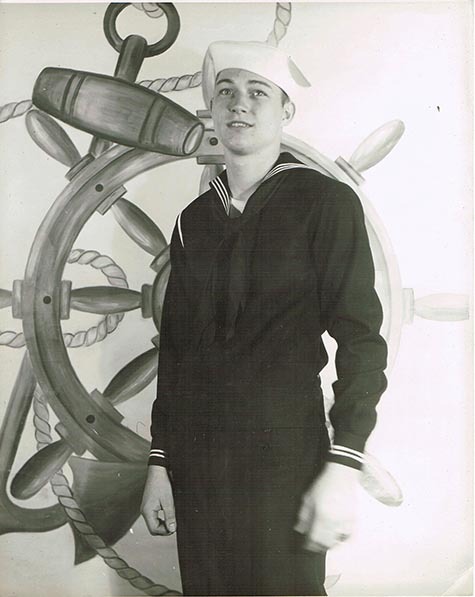 While still in high school, Dad enlisted in the Navy and served in World War II. In 1954, Mom and Dad were married. 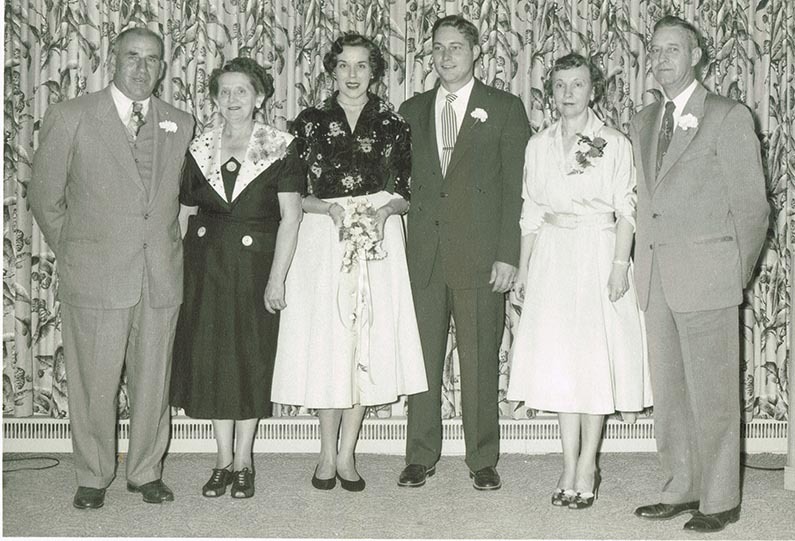 Here they pose for wedding pictures with their parents, Louis and Frieda and Adolph and Marie, beside them. 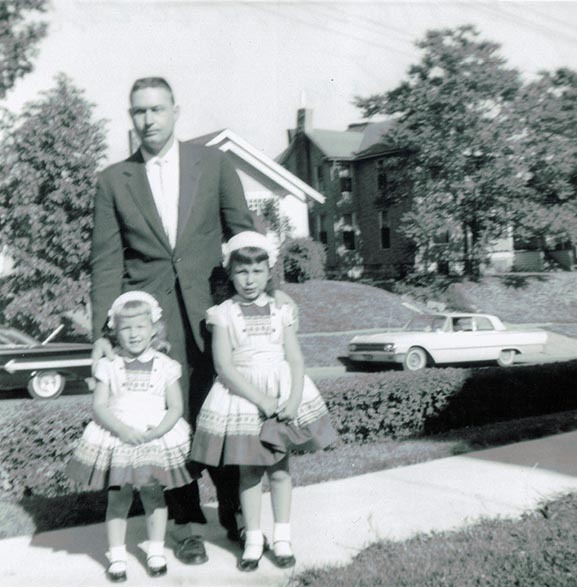 Dad with my sister, Tami, and me after church. In 1967, our family rode the Great Northern train to Kalispell, Montana to visit Great Uncle Grover. We stayed in one of his cabins on the lake in Whitefish. At some time, Uncle Grover had shot a bear that was charging him. 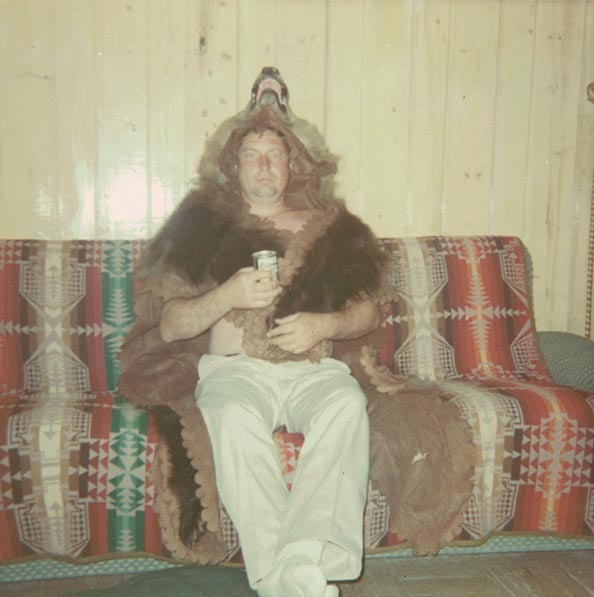 The bear skin was made into a rug, and Dad draped it over his shoulders. We, also, took many vacations to Ely, Minnesota with family and friends. 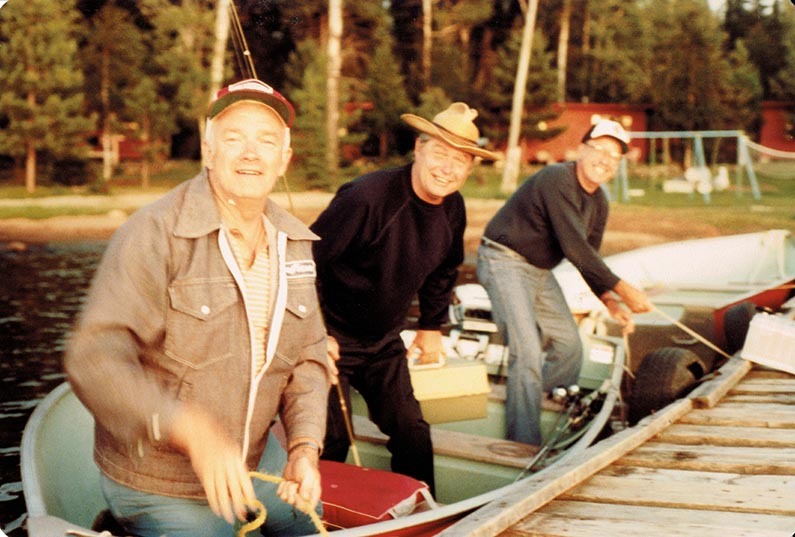 Dad and friends, Don and Gene, went fishing every day. They didn’t always catch anything, but they always had fun. 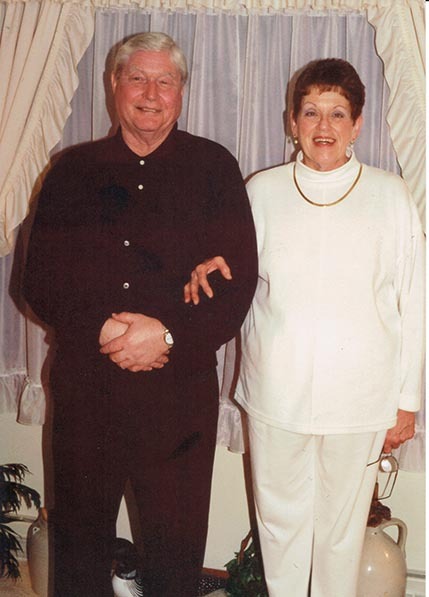 Mom and Dad in 1996. 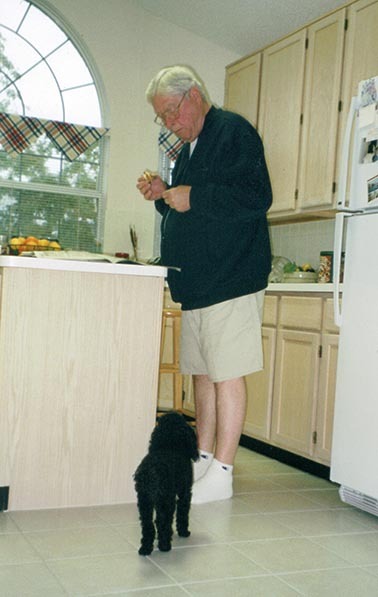 Dad giving treats to Samantha, my first little toy poodle, in my first house in Flower Mound, Texas. Dad loved to spoil her with people food. 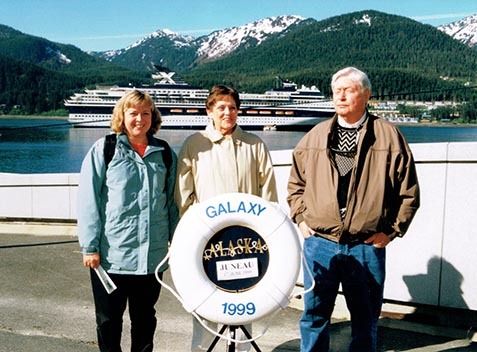 Mom and Dad and I on our Alaskan cruise in 1999. Dad said it was one of the best vacations he’d ever taken. When we weren’t out on shore excursions, Dad spent much of the time on the balcony enjoying the beauty of the inside passage. Happy Father’s Day, Dad and to all of you other Dads out there. We hope you have a great day!